Probably my favorite place to mountain bike in South Central Pennsylvania is Michaux State Forest. The place is a mountain biking, ATV riding, horse back riding, hiking paradise. Caution...it is very easy to get lost here. The place is huge. My favorite place to park and begin is in Pine Grove Furnace State Park. There is plenty of parking at the iron furnace stack along with a newly constructed bathroom. 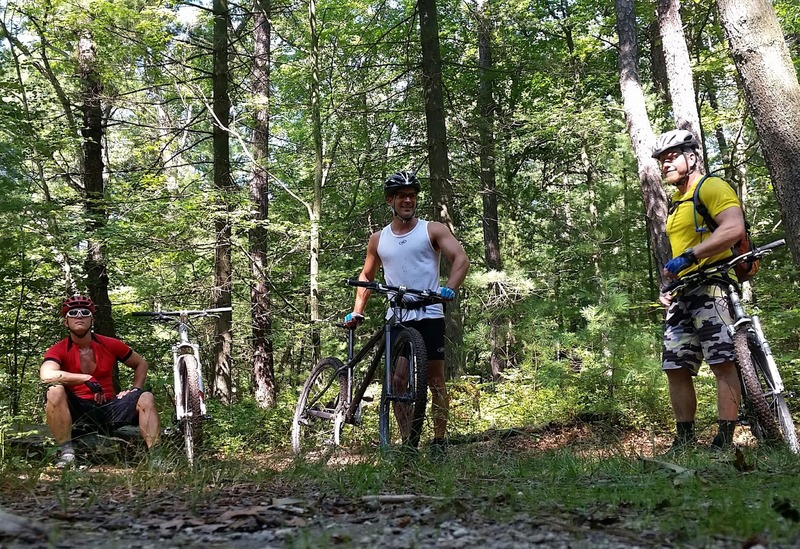 Today, my riding partner, Tim Sindlinger and I rode with a new friend that we met on the trail on Saturday when we rode Swatara Gap State Park, Matthew Linnane. Our ride today started with a twisty/turny single track that the parallels a very cool creek called Tom's Run. 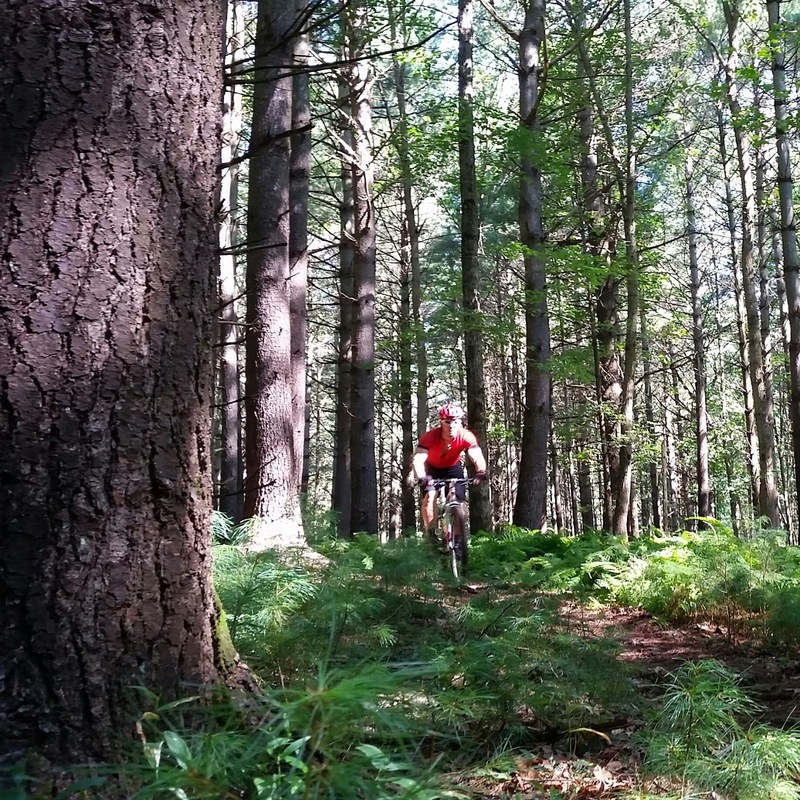 Tom's Run isn't rocky...but very rooty. 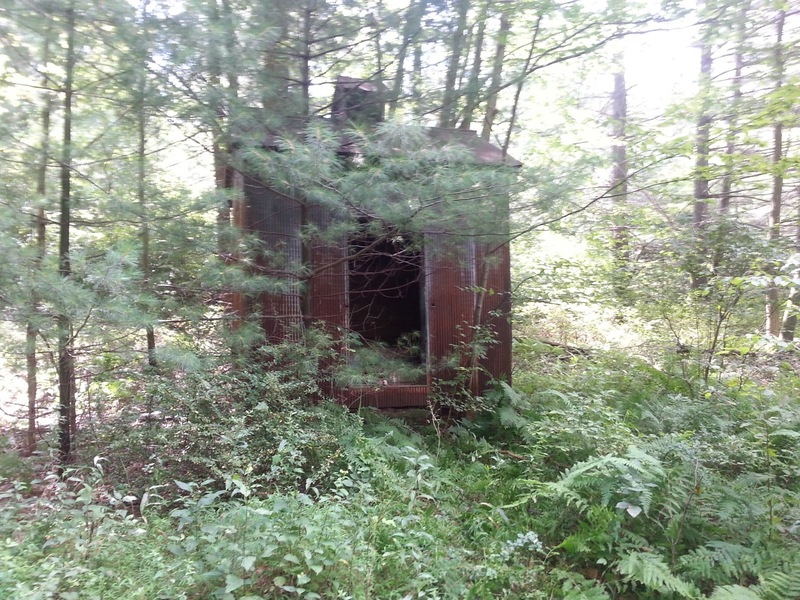 Tom's Run will eventually lead into Dynamite Shack trail...where, yes, you will find an old dynamite shack. Can't make this stuff up. 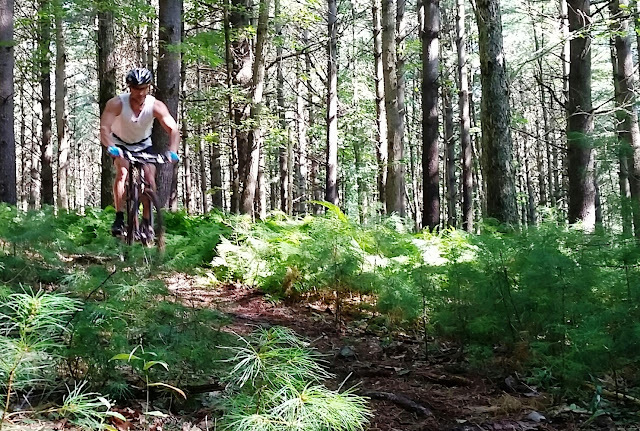 If you notice on my Garmin map of today's ride Tim, Matt, and I took a brief trip up Michaux Road to Camp Michaux. Camp Michaux was build by the Civilian Conservation Corps in the 1930s. It was then used by the United States government as a World War II prisoner camp. Sign along Michaux Road that shows the entrance to Camp Michaux. Before you take a walk back into Camp Michaux it would be wise to download the self guided walking tour map of the camp. Today, you will see remains of the buildings that once stood there. So cool to learn local history and also see the power of nature. Remains of a water fountain near the entrance of Camp Michaux. Remains of buildings at Camp Michaux. 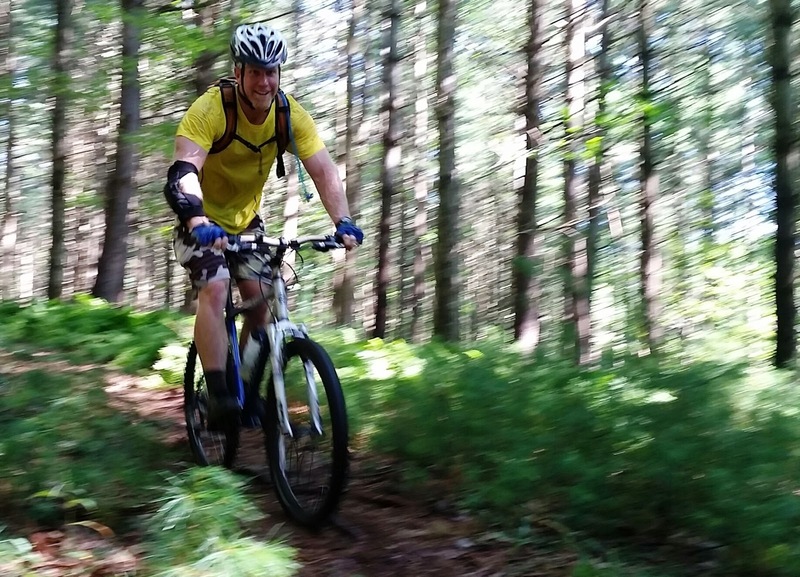 The rest of the ride included typical Michaux fun....lot's of rocks, single track, and rocks. My favorite part of the ride is immediately after crossing Woodrow Road. Riding over rocks the size of my pick up truck followed by twisty single track through ferns and oak pines. There are many ways to get back to Pine Grove Furnace. Today, because of our time frame, Tim, Matt, and I choose to take some awesome single track back towards the main road. After crossing the road we climbed an obnoxious hill (that is significantly more fun to ride down) to get to ATV trail that eventually leads down the ridge and right into the Parking Lot at Pine Grove Furnace. Ultimately, approximately 12 miles of mountain biking fun. to get ice-cream after a ride. 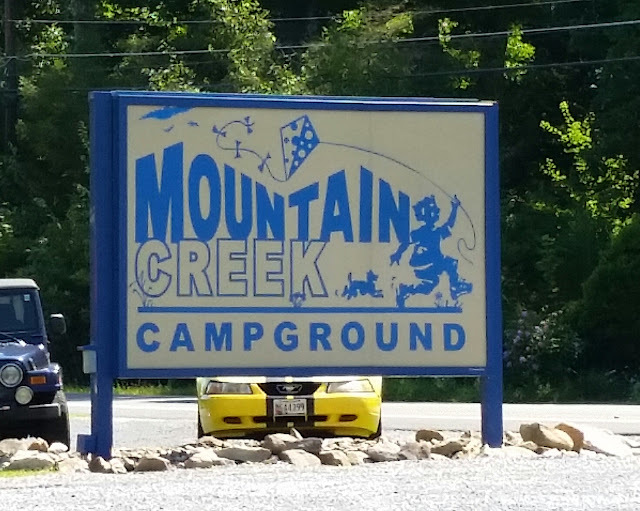 Mountain Creek's camp store offers extremely friendly service and large servings of hand dipped ice-cream at very low prices. The covered porch outside of the camp store is a perfect place to relax after a ride. You know the ice-cream is good when you begin to look forward to it before your ride is even over.